Note: Users of DSTT / DSTTi and YSMENU use the E InfoLib EXTINFO PATCH with THE rom to make the game work. 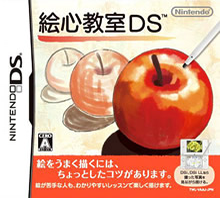 Note: Copy any of the above Eigokoro Kyoushitsu DS (Japan) rom download links and paste it into your browser to download. Mine too... (T___T) Please help. "Users of DSTT / DSTTi and YSMENU use the E InfoLib EXTINFO PATCH with THE rom to make the game work."